With Adaxes you can automate the provisioning of user accounts by importing data from a CSV file into Active Directory on a regular basis. 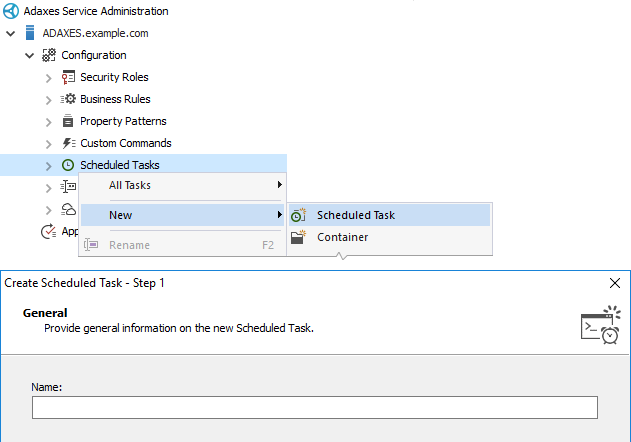 To schedule the import process you need to create a Scheduled Task that will periodically execute a PowerShell script. The script will read in a CSV file using the Import-Csv cmdlet and pass the data to the New-AdmUser cmdlet to create users in Active Directory. The New-AdmUser cmdlet is included in Adaxes PowerShell Module for Active Directory. 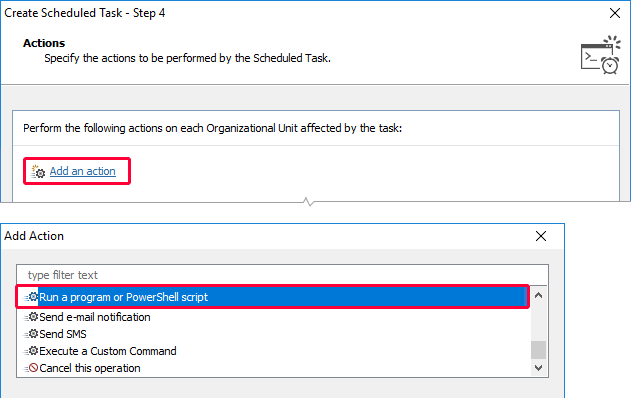 To use the cmdlet in a Scheduled Task, you need to install Adaxes PowerShell Module on the computer, where your Adaxes service is running. Create a CSV file with user data. Launch Adaxes Administration Console, expand your Adaxes service, right-click Scheduled Tasks, point to New and click Scheduled Task. Enter a name for the new Scheduled Task, and click Next. It is recommended to use nouns to name Scheduled Tasks (e.g. CSV Importer, Membership Manager), because tasks will appear as operation initiators in the Adaxes Log and approval email notifications. 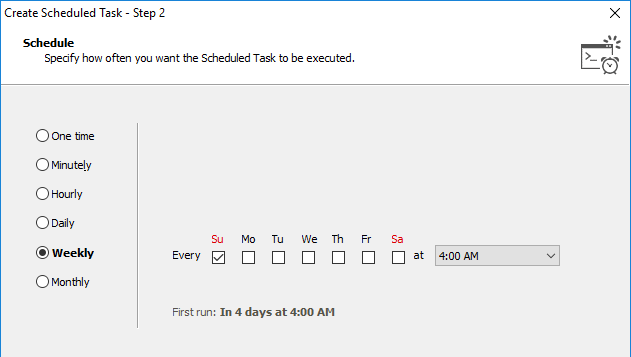 Specify how often the task should run and click Next. To import user accounts into an Organizational Unit, select the Organizational-Unit object type. Click Add an action and select Run a program or PowerShell script. If your CSV file doesn't contain column AccountPassword and columns with data of the Boolean type (e.g. Enabled or ChangePasswordAtLogon), you can use the script given below. The -Path parameter specifies the distinguished name (DN) of the Organizational Unit or container where to create user accounts. Value reference %distinguishedName% will be replaced with the DN of the Organizational Unit included in the activity scope of the task. If your CSV file contains column AccountPassword or columns with data of the Boolean type, the columns must be processed in a special way. $subj = "Failed to Import User from CSV"
When finished, click OK two times and then click Next. 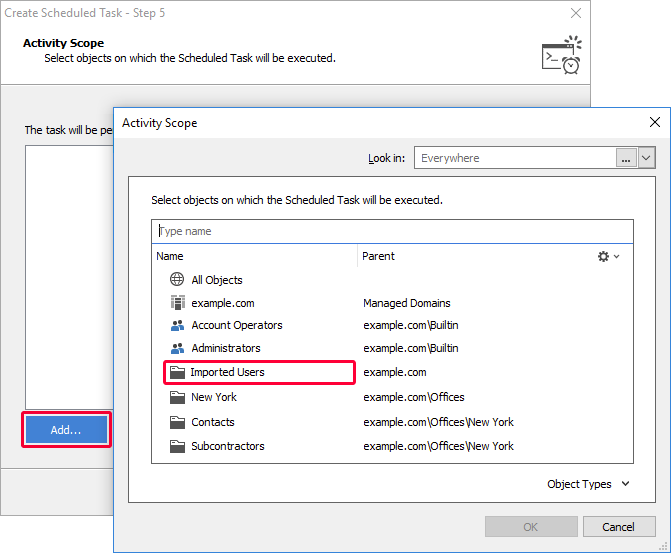 On the Activity Scope page, specify the Organizational Unit where imported user accounts will be created. Select the target Organizational Unit. 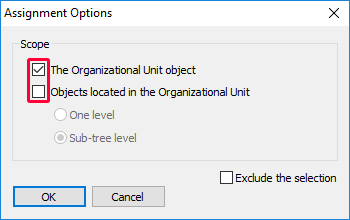 In the Assignment Options dialog, check the The Organizational Unit object checkbox and uncheck the Objects located in the Organizational Unit checkbox. Using Business Rules you can automatically move newly created users to appropriate Organizational Units based on certain rules. For more details, see Automatically Move Users between Organizational Units. The activity scope of the Scheduled Task must include a single Organizational Unit! Otherwise the task will import user accounts to each OU included in the activity scope.